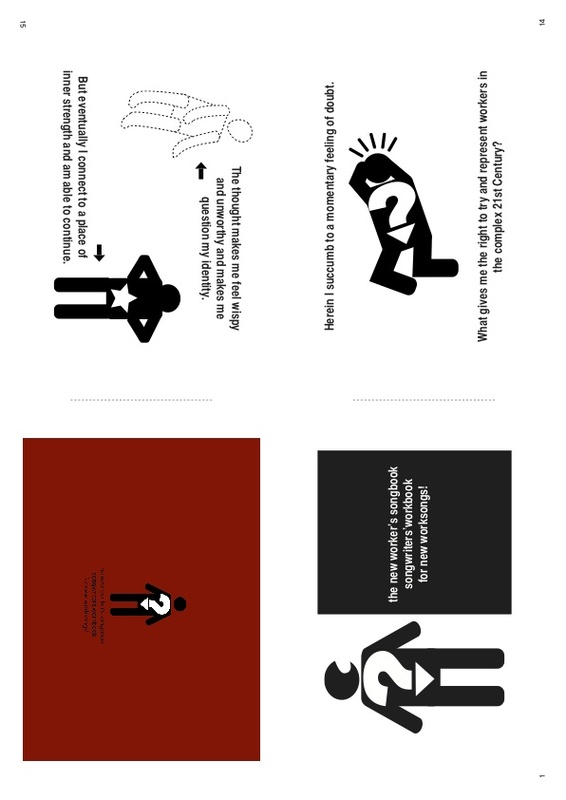 About : Created by Hamilton (Canada) artist and musician Tor Lukasik-Foss as part of DodoLab’s New Worker’s Songbook project, this publication is a simple graphic guide to writing and performing your own work song. The project was first developed in collaboration with the Workers Arts and Heritage Centre (Hamilton) followed by collaborations with The Print Studio (Hamilton) and SACY (Sudbury Action Centre for Youth). 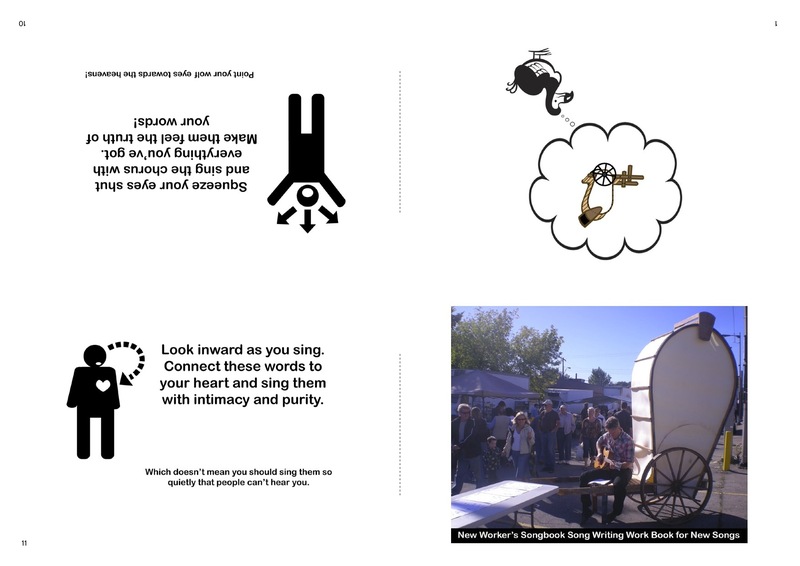 Tor Lukasik-Foss (Tiny Bill Cody) is an artist, writer, musician and performer interested in the ways in which art becomes a public language or a publicly shared experience. 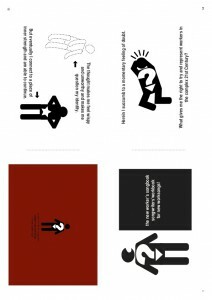 His visual work employs the idioms of conventional sign making, and is frequently designed for site-specific purposes. 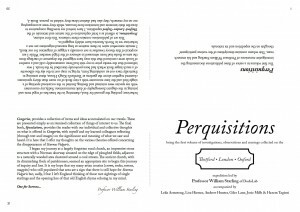 His performance work explores the notion of the public concert, and tries to deliberately tamper with the relationship between the performer, the stage, and the audience. 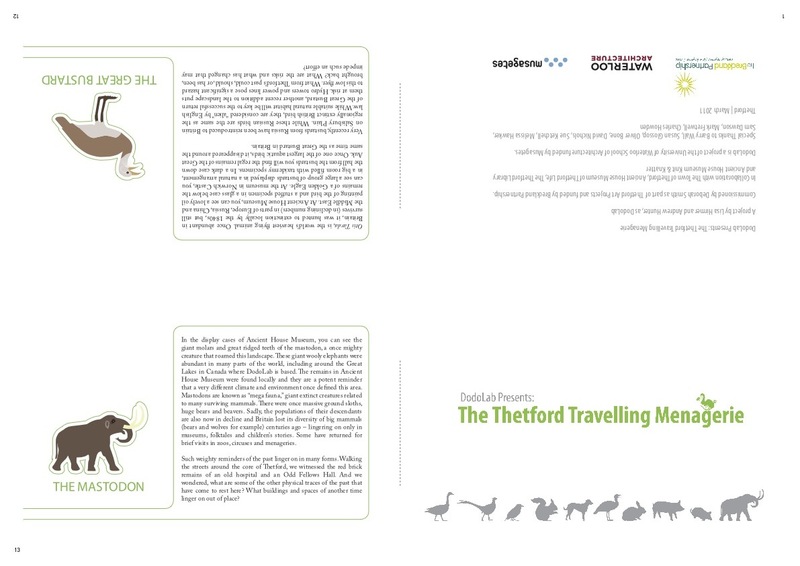 About : This publication was produced for DodoLab’s program in Thetford, Norfolk, UK, commissioned by Deborah Smith as part of Thetford Art Projects and funded by Breckland Partnerships. The project took place in March, 2011, and featured community collaborations along with interventions and installations in public spaces. 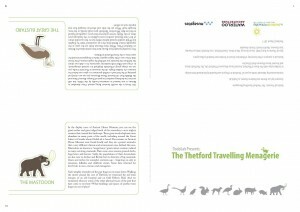 The project used a collection of images and stories of local creatures (past and present, real and imagined) as fables or parables to encourage reflection on the state of Thetford today. 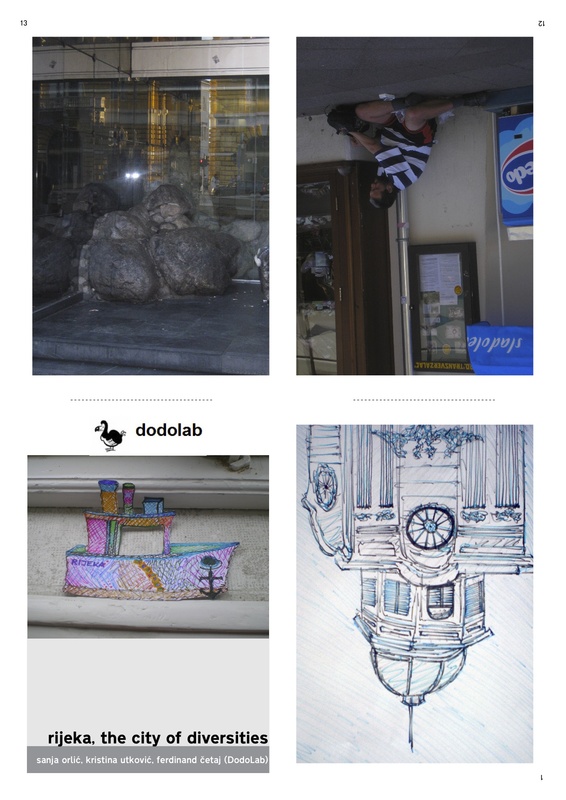 DodoLab is an art and design based program lead by Lisa Hirmer and Andrew Hunter that researches, engages and responds to contemporary community challenges, with a particular focus on the natural world, social systems, the built environment and cities in transition. They employ creative public interventions that are truly collaborative, encourage and evolve out of dialogue and critical reflection, and that strive for tangible and meaningful outcomes. DodoLab is consistently interested in the barriers to adaptation and change and engaging the public in public through projects that involve individuals and organizations who bring a diversity of experience and expertise. DodoLab’s always evolving methods of engagement reflect Hirmer and Hunter’s backgrounds in art, design, architecture, education, writing, image making and installation. 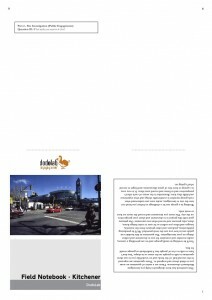 Both DodoLab principals are Adjunct Faculty and Researchers at Waterloo Architecture (University of Waterloo School of Architecture). DodoLab is a program of Waterloo Architecture funded by Musagetes and enhanced by commissioned collaborations with individuals and organizations in Canada and Internationally (including universities, municipalities, social service organizations and the arts). 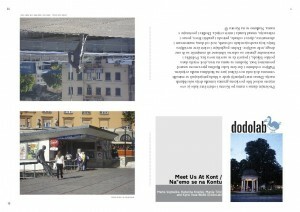 Since its launch in the spring of 2009, DodoLab has worked across Canada, in the United Kingdom and Croatia. Current active projects include work in Waterloo/Wellington Region, Greater Sudbury, Rijeka (Croatia), Lethbridge (Alberta), Prince Edward Island, Norfolk (United Kingdom) and in Toronto (with Harbourfront Centre and the Textile Museum of Canada). 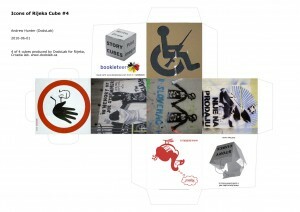 DodoLab works on an ongoing basis with such like-minded collectives as BrokenCityLab (Windsor) and proboscis (London, UK) and has been actively engaged with the Musagetes Cafe´ program. 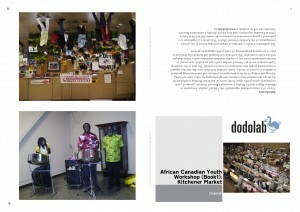 About : DodoLab has collaborated with the Workers Arts and Heritage Centre (Hamilton, Ontario, Canada) on the creation of A New Workers Songbook. The project is based on WAHC’s collection of books and recordings of songs that reflect Hamilton’s history of industry and organized labour. The goal of this project is to create songs about current realities for working people in Hamilton. Reflecting on the shifts in jobs and work, this participatory and process-based project explores current perceptions from both an individual and collective perspective. Artist/curator Caitlin Sutherland has worked with DodoLab on the design of the installation and the various surveys and has also been the lead on statistical research. Hamilton artist, performer and musician Tor Lukasik-Foss is the lead on the songwriting component of the project he has designed this workbook to help aspiring songwriters to create their own worker’s songs. Tiny Bill Cody (Tor Lukasik-Foss) is an artist, performer and musician based in Hamilton, Ontario. About : On Friday, November 12th, 2010, DodoLab and SACY (Sudbury Action Centre for Youth) staged the First Annual Tournament of Beasts in Sudbury’s Memorial Park (Ontario, Canada). 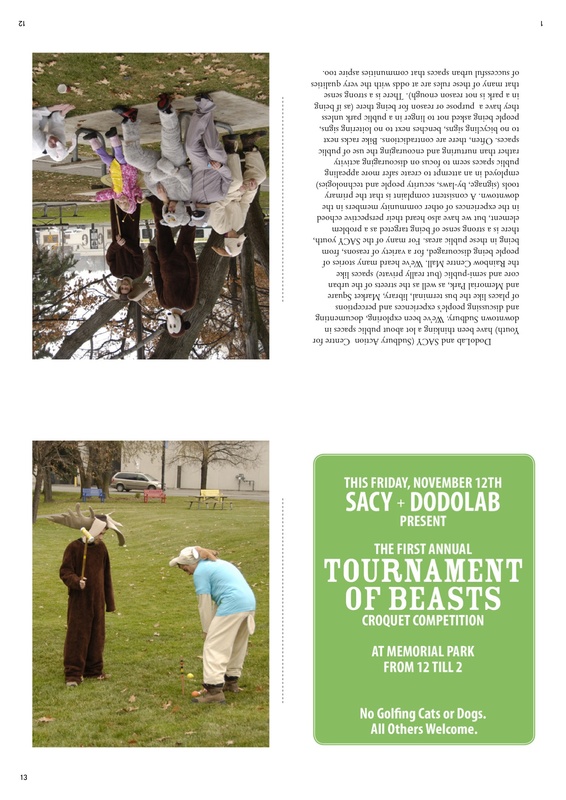 The project featured a croquet competition between a half-dozen animals (raccoon, bear, wolf, rabbit, deer and moose) and was staged as a catalyst to encourage public discussion about the use and control of public spaces. The project is part of a larger community initiative in Sudbury being developed in collaboration with the Musagetes Foundation, Ontario Trillium Foundation, SACY, Carrefour Sudbury and Metis Council of Sudbury. DodoLab Wants to Know: What Are The Signs of a Creative City? 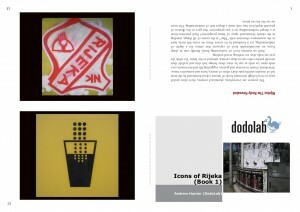 Update 20/10/2009: a modified eBook has been prepared that can be used in any location. 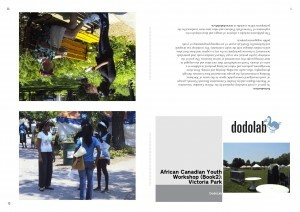 About : This eBook has been produced as a collaborative field research tool for DodoLab’s community research at the 2009 ICASP Colloquium (Improvisation, Community and Social Practice – www.improvcommunity.ca) and Jazz Festival in Guelph, Ontario, Canada. 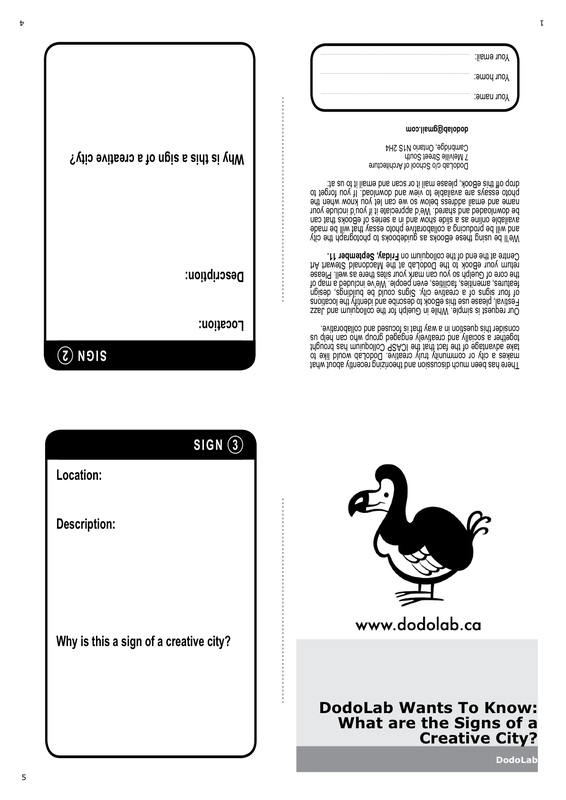 DodoLab is interested in exploring the idea of the Creative City and this eBook is designed to engage colloquium participants and festival goers in the process of identifying and documenting what they individually consider to be “signs” of a Creative City. 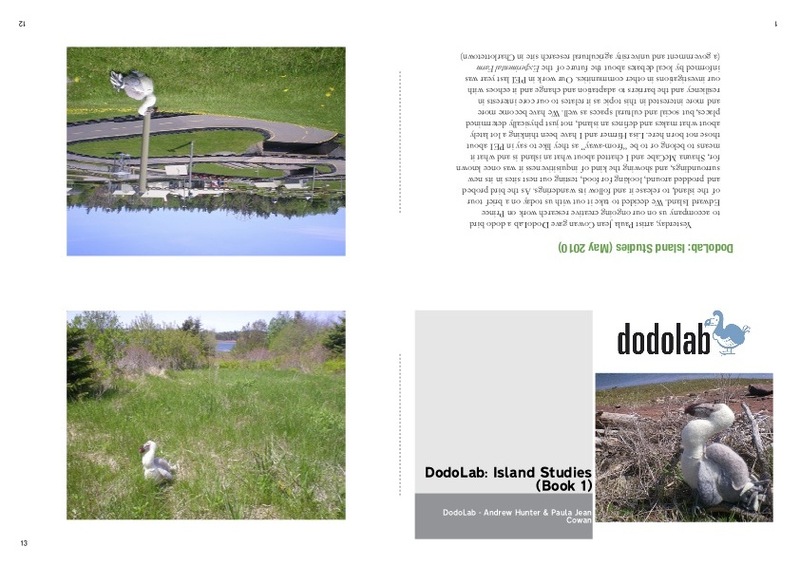 Participants will use this ebook to describe signs and their locations and these will then be used by a team of DodoLab photographers to produce a series of photo essays that will be published as eBooks. 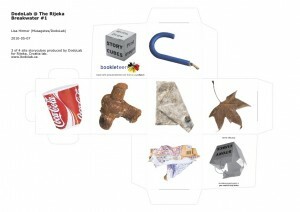 Like other tools developed by DodoLab, this ebook can be easily modified for other locations. DodoLab is a dynamic and experimental co-creative lab for engaging with communities, organizations and events that is collaborative and fluid. 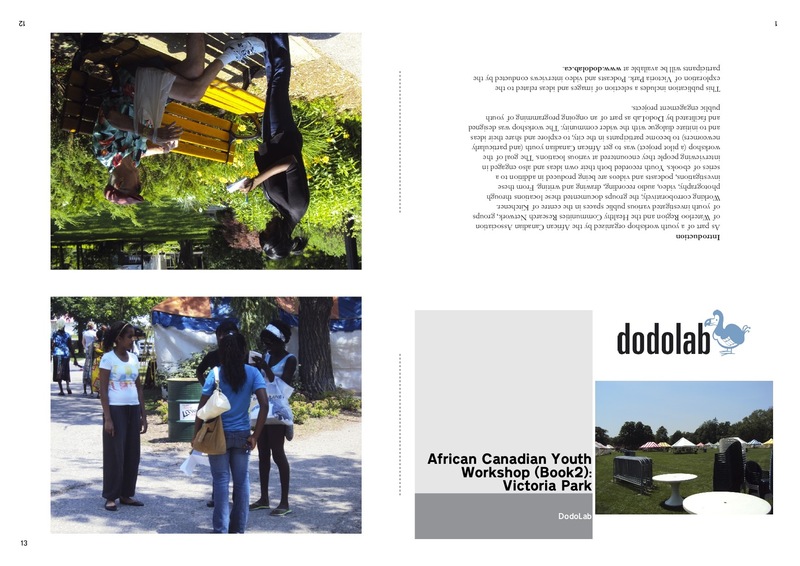 Based at the University of Waterloo’s School of Architecture (Canada) and lead by Andrew Hunter in collaboration with Musagetes Foundation (Canada), DodoLab brings together creative researchers/practitioners, community leaders, educators and students to challenge accepted ideas, assumptions and methodologies and to develop insights into contexts, processes and situations. DodoLab is not a predetermined package, program or methodology, it is a process-based exploration that emerges out of the needs, challenges, concerns and ideas of the communities, organizations, groups and institutions we collaborate with and draws its strength from the rich combination of skills, knowledge and experience these collaborations contain. The environment, youth, knowledge sharing, leadership, social innovation and community are central concerns of DodoLab and our philosophy of cultivating true collaboration and co-creation reflects the firm belief that we cannot solve the complex problems we face if we don’t work together with openness and respect. DodoLab looks to build relationships with its collaborators that are meaningful and lasting and that emphasize shared responsibilities for action and learning. 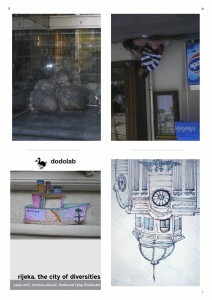 DodoLab’s current principal researchers are: Andrew Hunter, Lisa Hirmer, Laura Knapp, Barbara Hobot and Proboscis. 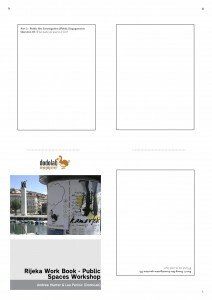 About : DodoLab Wants To Know: About Green Space is a research survey designed to investigate ideas about green space. 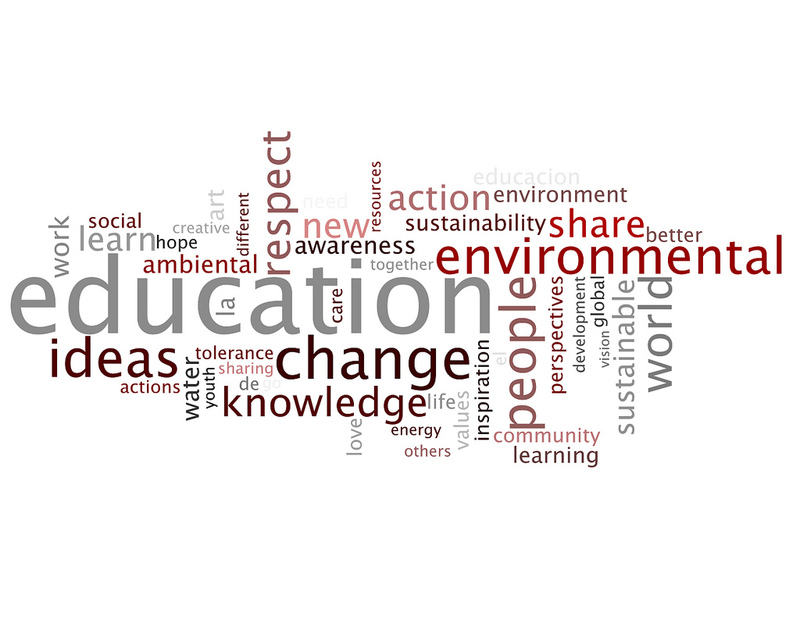 While many people feel quite strongly about the need for “green space” this term is often quite ambiguous and can refer to a number of very different kinds of space. 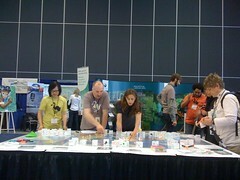 This survey is meant to collect data but also to initiate discussion about the characteristics of green space. The data will be used to generate “Green Space Scales,” which can be used by communities as a place to start more complex discussions about green space and what it means. 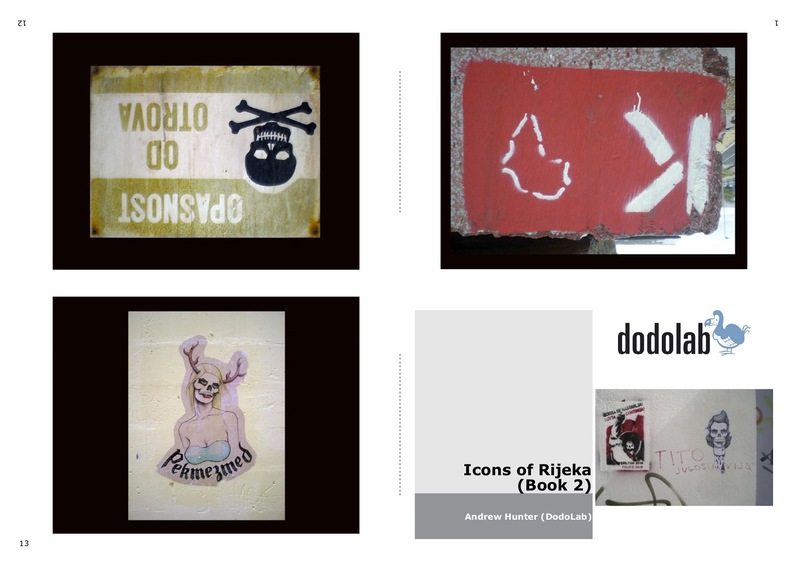 To use one of these books is to join the DodoLab research team and we encourage those who use them to share their findings with DodoLab. 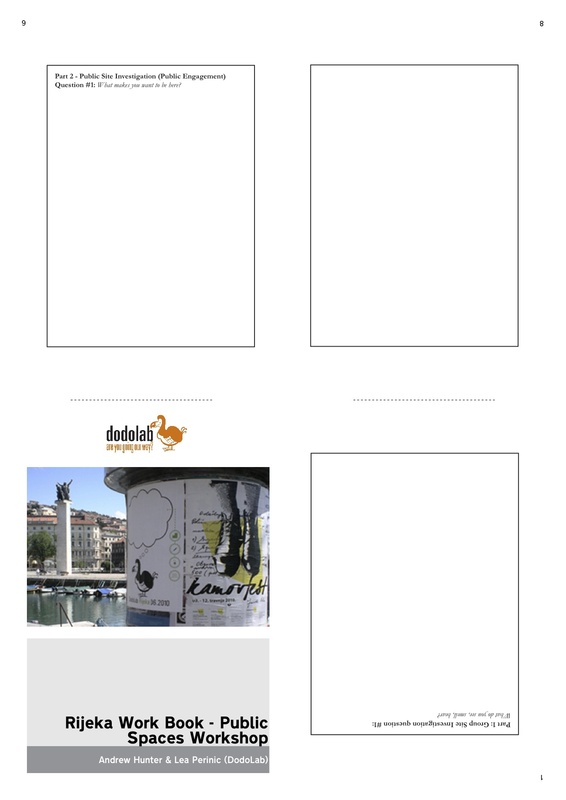 About : DodoLab Wants To Know is a community research tool which asks a series of simple questions designed to encourage reflection on the things that we have lost due to cultural, social and environmental change and what we’d like to bring back. 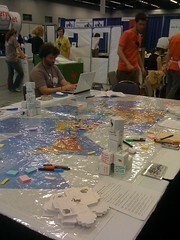 This simple tool is meant to both collect information and encourage dialogue within communities and across generations. 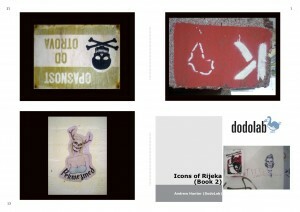 To use one of these books is to join the DodoLab research team and we encourage those who use them to share their findings with DodoLab (www.dodolab.ca). DodoLab is a dynamic and experimental co-creative lab for engaging with communities, organizations and events that is collaborative and fluid. 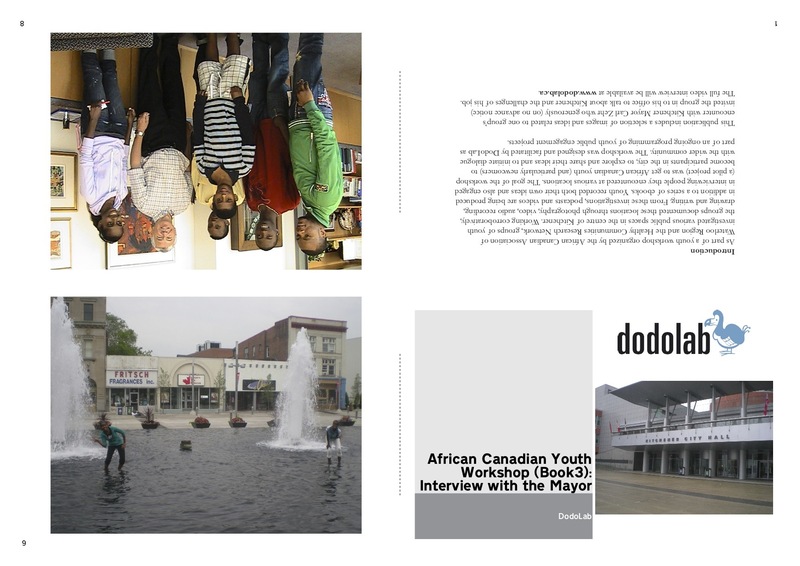 A shared initiative of Render (University of Waterloo, Canada) and the Musagetes Foundation (Canada), DodoLab brings together creative researchers/practitioners, community leaders, educators and students to challenge accepted ideas, assumptions and methodologies and to develop insights into contexts, processes and situations. DodoLab is not a predetermined package, program or methodology, it is a process-based exploration that emerges out of the needs, challenges, concerns and ideas of the communities, organizations, groups and institutions we collaborate with and draws its strength from the rich combination of skills, knowledge and experience these collaborations contain. The environment, youth, knowledge sharing, leadership, social innovation and community are central concerns of DodoLab and our philosophy of cultivating true collaboration and co-creation reflects the firm belief that we cannot solve the complex problems we face if we don’t work together with openness and respect. DodoLab looks to build relationships with its collaborators that are meaningful and lasting and that emphasize shared responsibilities for action and learning. DodoLab is led by Andrew Hunter (RENDER). 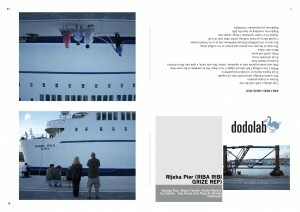 Probsocis continues to be a valued partner of RENDER’s and a significant contributor to the DodoLab initiative. 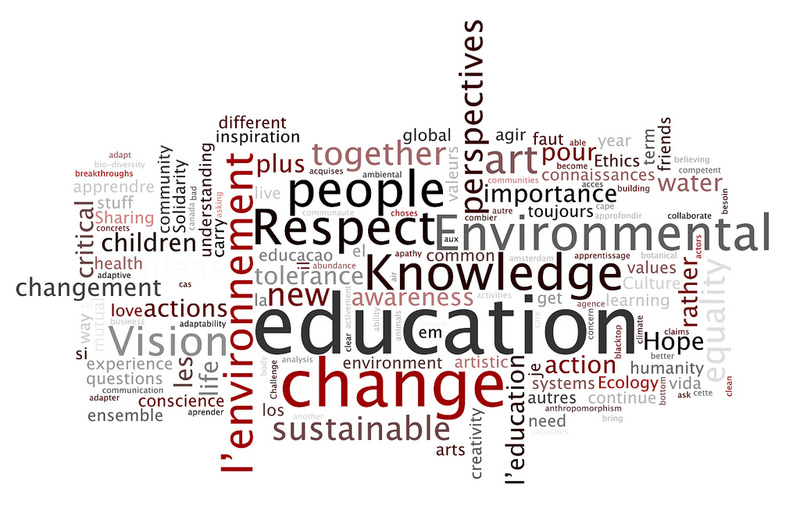 Wordle word cloud from Day 2’s StoryCube contributions at WEEC5. About : This double-sided StoryCube has been designed for the Dodolab intervention at the 5th World Environmental Education Congress in Montréal, May 10-14 2009. Dodolab is a collaborative and creative intervention exploring different approaches to the concept of sustainability, resilience and adaptability. 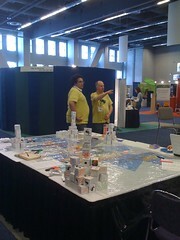 It is organised by Andrew Hunter of Render @ University of Waterloo and Shawn van Sluys of Musagetes Foundation. Giles Lane of Proboscis will be participating to engage delegates in creating a landscape of ideas using the cubes, as well as social mapping activities using a Buckminster Fuller Dymaxion Map. About : In February 2012 England was graced with a visit from the perambulating Canadian scholar, Professor William Starling of DodoLab, who is conducting research into the disappearance of the European Starling specs in contrast to the continued expansion of its North American cousin. An expedition of inquiry was mounted by members of DodoLab and Proboscis, visiting Thetford in Norfolk, central London and Oxford, where great murmurations of starlings were known, until recent years, to gather. 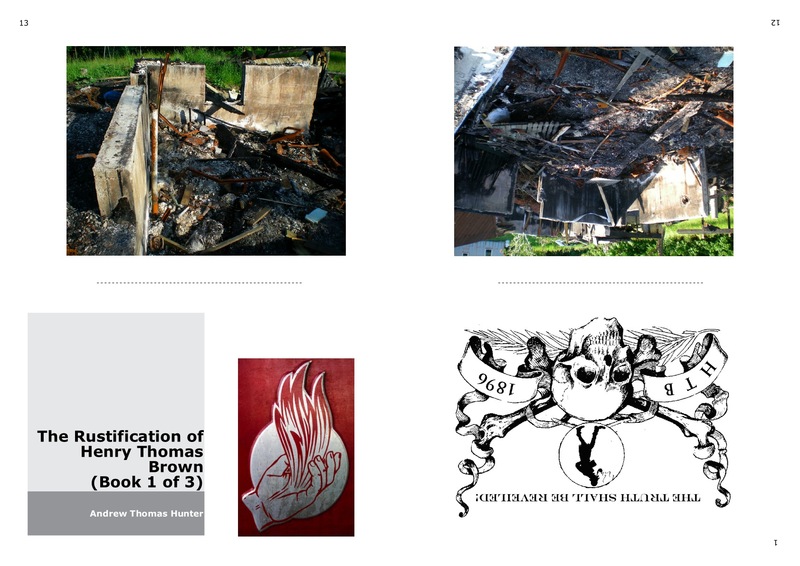 These three books comprise their investigations, observations and musings. 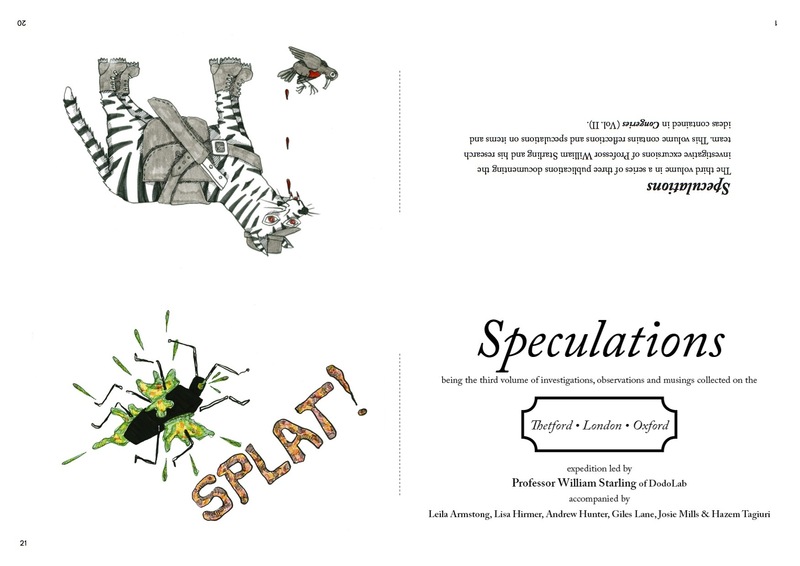 About : One of a series of publications to be produced by DodoLab as part of their ongoing work in Windsor/Detroit in collaboration with Broken City Lab, Green Corridor and the Tug Collective. 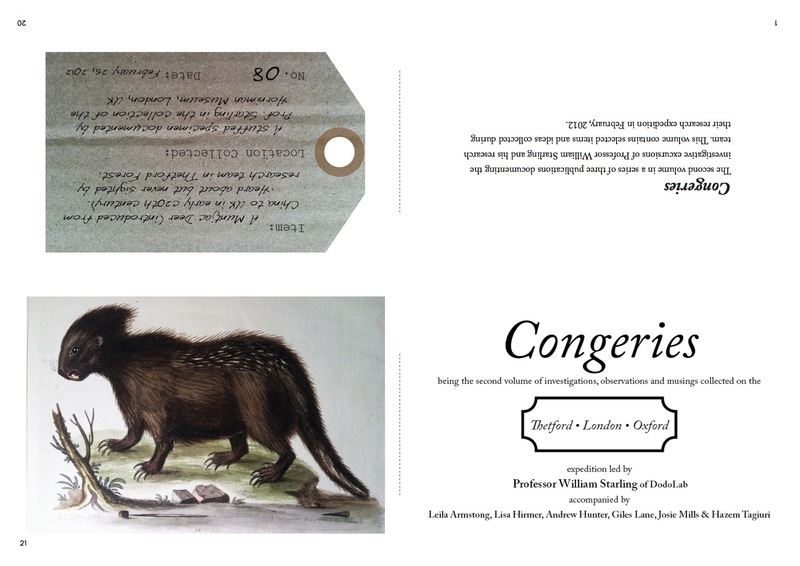 This publication is the first in a series related to a community research project called Cemetery Litmus Test led by DodoLab Director Andrew Hunter. The goal of the project is to explore the old tombstones and cemeteries in Windsor (Canada) and Detroit (USA) that are close to the Ambassador Bridge, one of the primary trade and transport links between Canada and the United States. 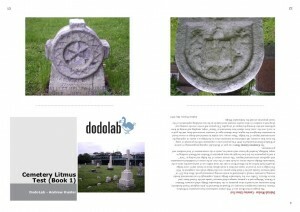 DodoLab is interested in looking at the excessive decay of old tombstones as signs of air born pollution in the region. The Cemetery Litmus Test is one of a number of projects DodoLab will be running and/or collaborating on in Windsor/Detroit over the coming years. 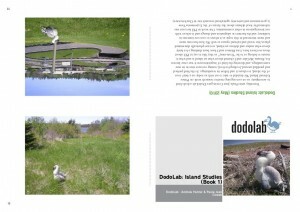 About : In August of 2009, Dodolab was invited by the Confederation Centre of the Arts to Prince Edward Island to respond to issues surrounding the Experimental Farm in Charlottetown. 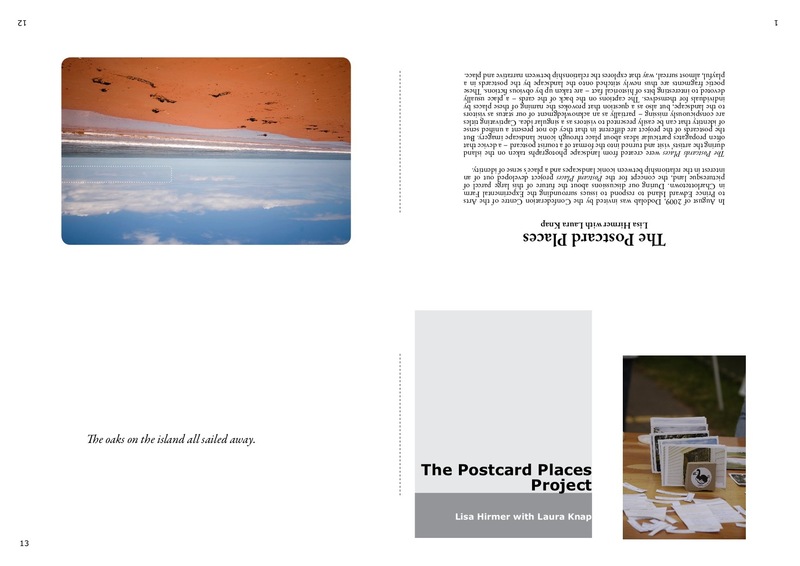 During our discussions about the future of this large parcel of picturesque land, the concept for the Postcard Places project developed out of an interest in the relationship between iconic landscapes and a place’s sense of identity. 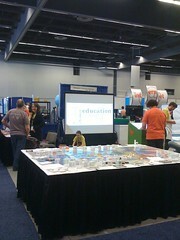 Laura Knap has an education in architecture from the University of Waterloo, Canada. Her work orbits in design, community building, photography, writing, and construction; and focusses on the agency, imagination and inhabitation of green spaces; as well as questions of sustainability. 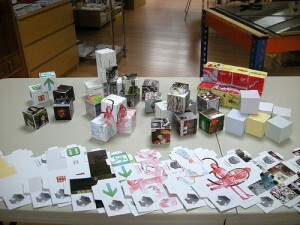 Not all StoryCubes are published just on Diffusion – some are printed on card and distributed as physical objects. 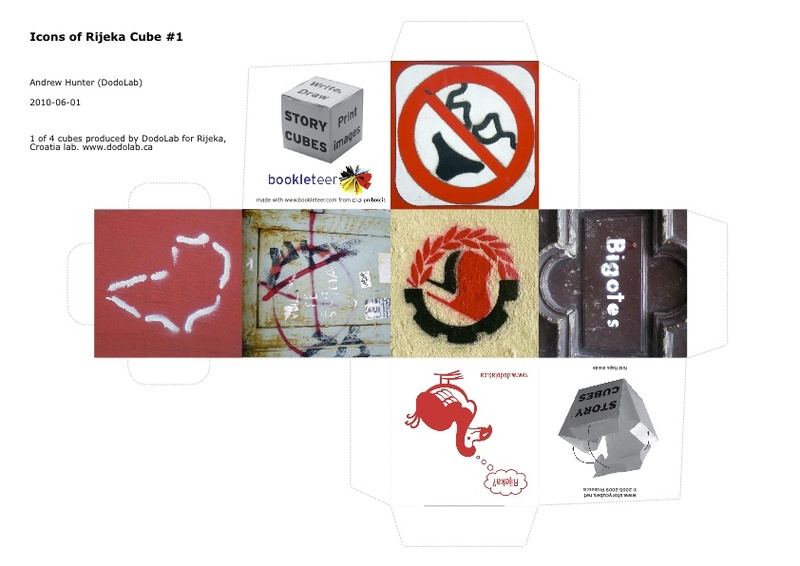 We’ve printed a StoryBox of 8 cubes about Proboscis’ projects, a special illustrated set by Australian comic artist Matt Huynh and our own set about Under-Used Assets for Perception Peterborough as well as one off cubes for projects like DodoLab Montreal and Social Tapestries. 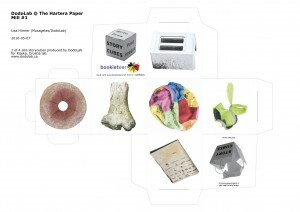 Now with bookleteer it has become even easier not only to create beautiful StoryCubes, but to have them printed as physical objects too. Last week we produced a stunning example for Birkbeck College’s In the Shadow of Senate House – from design to delivery in a week. 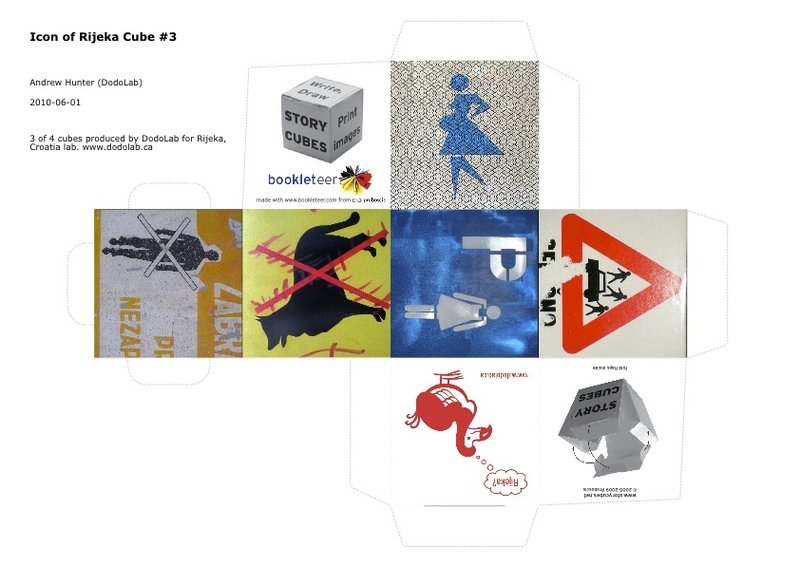 Alongside these were two special cubes made as a promotional items for some up and coming bands, as well as limited editions of StoryCubes commissioned as part of our Transformations series. The arrival of bookleteer makes it extraordinarily easy to create single or double sided StoryCubes for creative projects, marketing campaigns, games and events. 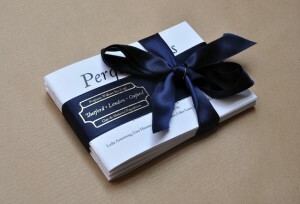 Prices start at 87 pence per cube (plus set up, delivery & VAT) with a minimum order of 250 – not necessarily one design : a single order could be 1 each of 250 different cubes, or 50 copies of 5 cubes, or in fact any combination of copies and designs (i.e. there’s no need to order even quantities of each design). 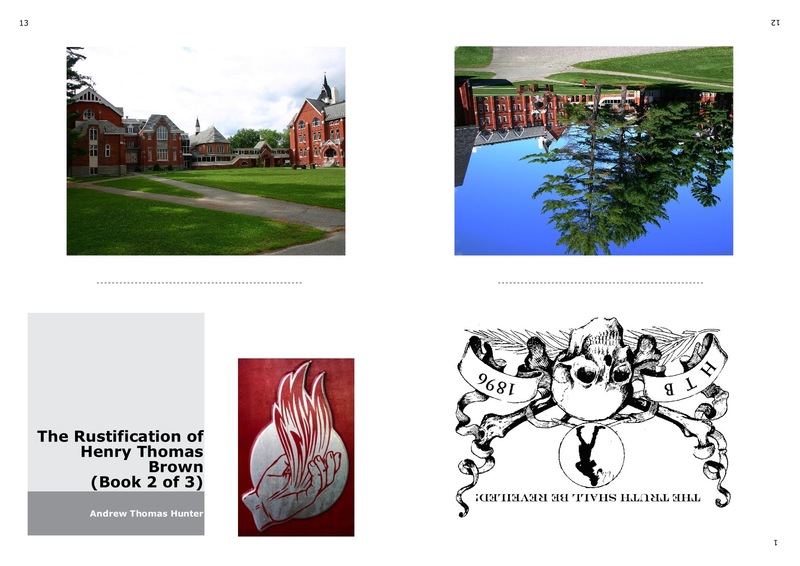 The Rustification of Henry Thomas Brown eBook series was produced to accompany, and extend the narrative of, an exhibition of the same name at the Foreman Art Gallery, Bishop’s University, Lennoxville, Quebec, CANADA. 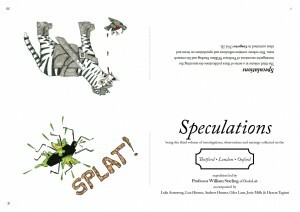 They capture the playful mix of fact, fiction and personal narrative that is typical of Andrew Hunter’s work. 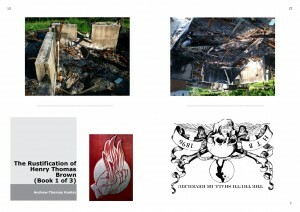 The publications include images and texts drawn from the exhibition and research project which is based on the obscure life of the university’s former “furnaceman” (Henry Thomas Brown) and Hunter’s attempt to reconnect Brown with the history of the university and to explore Brown’s continuing spirit presence in the community that Hunter believes continues to cause unfortunate consequences. 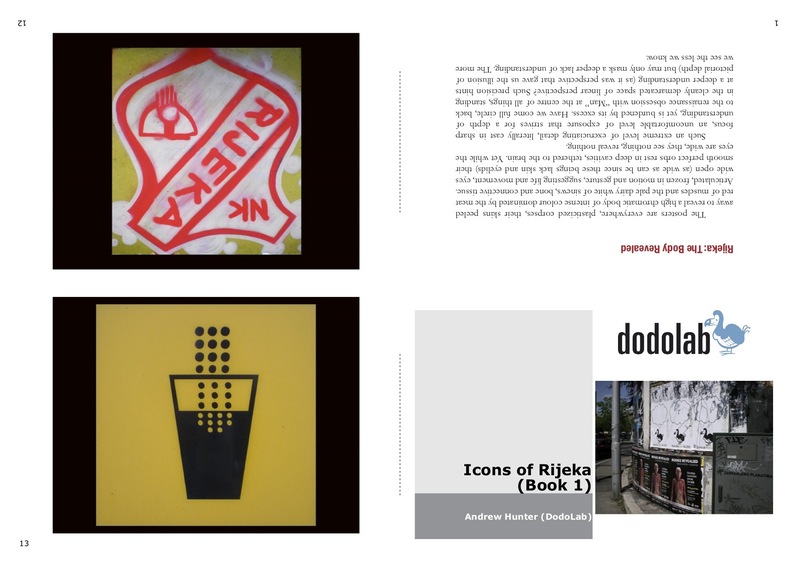 Andrew Hunter has produced exhibitions, site projects, publications and writings for institutions across Canada in the United States and Europe. At the core of Hunter’s work has been the exploration of the holdings of public institutions (museums, art galleries, libraries and archives), private collections, local history and national myths. At heart, Hunter considers his work to be an elaborate form of storytelling, engaging collections and history as a source for narrative play. 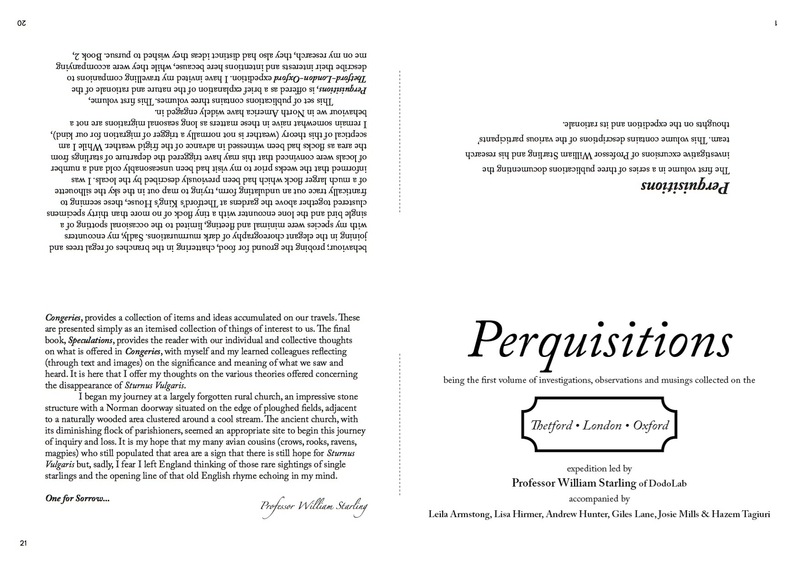 Working in a gray area between fiction and non-fiction, he draws on such models as Truman Capote’s concept of the “non-fiction novel” and Jorge Louis Borges’ playful twists on the academic essay. 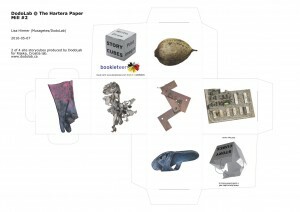 The methods and processes of the museum/archive (forms of display, cataloguing and dissemination and accessibility) inform the structure of many of his works. 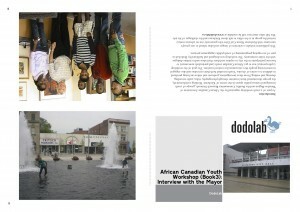 Currently the Director of RENDER, a unique arts based research and presentation center at the University of Waterloo (Canada), Hunter will begin a new position as Director of the DodoLab (a joint community/creative research program of the Musagetes Foundation and UW School of Architecture Cambridge) in January, 2010. 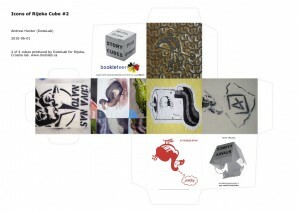 Since 2008, he has taught in the Curatorial and Critical Studies program at OCAD University (Toronto). Hunter continues to work independently as an artist, writer and curator. His innovative thematic and fiction-based museum projects have been presented at the National Gallery of Canada, Art Gallery of Ontario, Vancouver Art Gallery, Leonard and Bina Ellen Gallery (Concordia University), Museum London, Art Gallery of Alberta, Mendel Art Gallery, The Banff Centre, Confederation Centre Art Gallery, Yukon Arts Centre, University of Toronto Arts Centre, the Museum of Modern Art Dubrovnik (Croatia), among others. 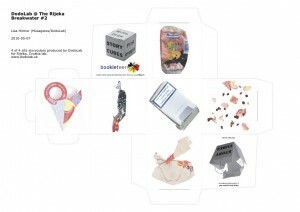 His project Lalla Rookh: A Poetic Archive was commissioned by Proboscis and Deborah Smith as part of Navigating History. Hunter has received numerous grants and awards from The Canada Council for the Arts and Ontario Arts Council and received the Western Canada Magazine award for writing on arts and culture. Andrew lives in Dundas, Ontario with his wife Lisa, daughters Maggie and Claire, dogs Penny and Nigel and the ever-present spirit of his late dog Roger. He continues to struggle to be a competent banjo and mandolin player.